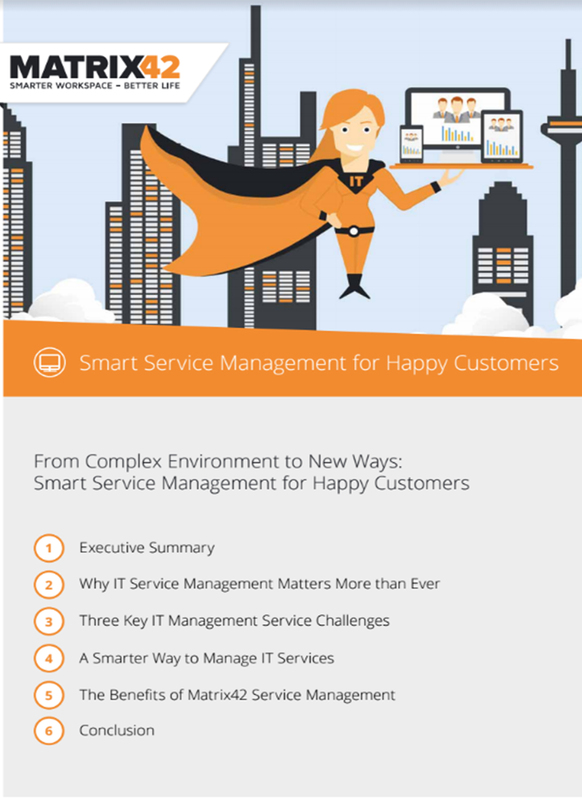 This white paper explains how a holistic, integrated approach to Service Management, using modern automation and management tools, enables Service Managers to meet these challenges. Matrix42 Service Management is a best-in-class, fully integrated Service Management solution, backed by decades of successful IT service and workspace management experience, that helps today’s IT service managers deliver these benefits to their organisa- tions easily and quickly. Moreover, by doing so, IT service managers can prove their value to CIOs as they strive to transform the image of the corporate IT department from a necessary cost centre, to a business-enabling profit centre.